I’ve been training for most of the winter. After putting on a few pounds of tasty and cheap Colombian food last fall, I’m back to feeling fitter and lighter than I have in a long time. Knees to elbows, kettlebell squats, and deadhanging on my ice tools- long garage sessions have made me sweat. 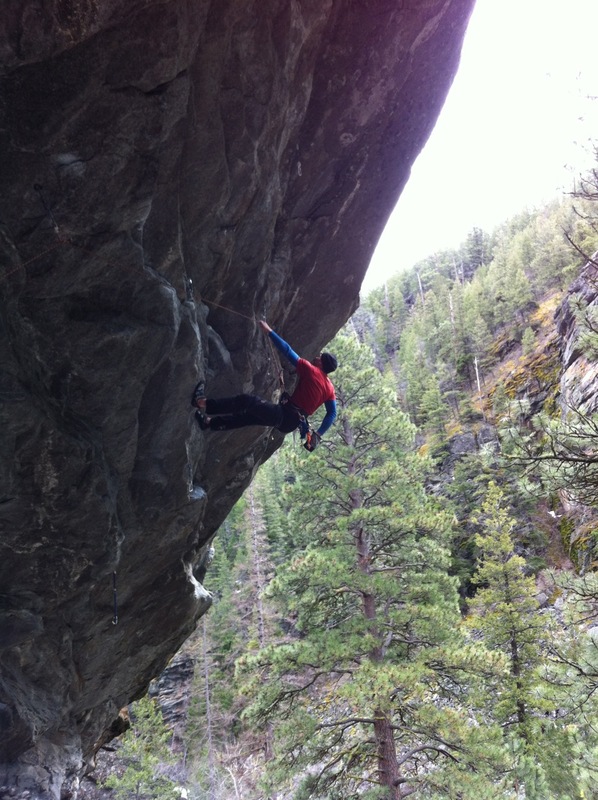 I’m feeling strong ice climbing, and am excited to get even stronger rock climbing. That said, one of the things I love most about the mountain sports is that there is always, always, someone stronger than you. People who are just on the next level, and it seems like I’ve been running into those people a lot lately. Friday, I enjoyed a long session at the rock gym getting to know more of my local community. Good times, and my hands still hurt on Saturday morning. Fortunately, I spent Saturday skiing instead of climbing. We had thick mashed potato snow that made for hard skiing. My friend Emily, despite being raised on a diet of 3% Utah powder, proceeded to tear it up with high style while I cartwheeled down behind her… (no photos as it was too wet for the camera). I’m going to have to step my game up if I want to continue to ski with Emily, and I am looking forward to that. I originally had more mellow plans for Sunday, but my buddy Steve and few other locals were headed out to Kootenai Canyon and I figured a day out was better than a day inside, so I tagged along- not really knowing what I was in for. I had mt some of Steve’s friends before- skinny college kids that flash the boulder problems I project. 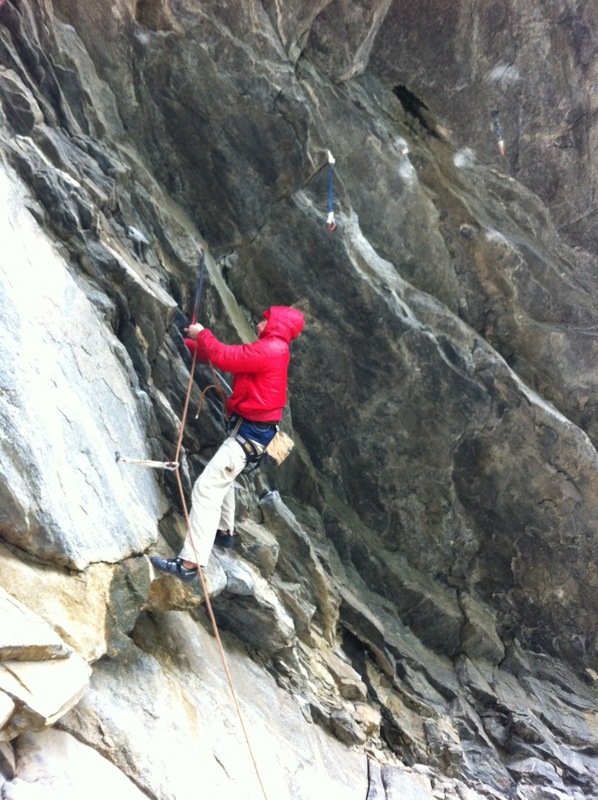 With some precipitation in the air, we headed for “The Sick Bay” and proceeded to work a bunch of sport climbs that were easily four or five grades harder than anything I have ever done. 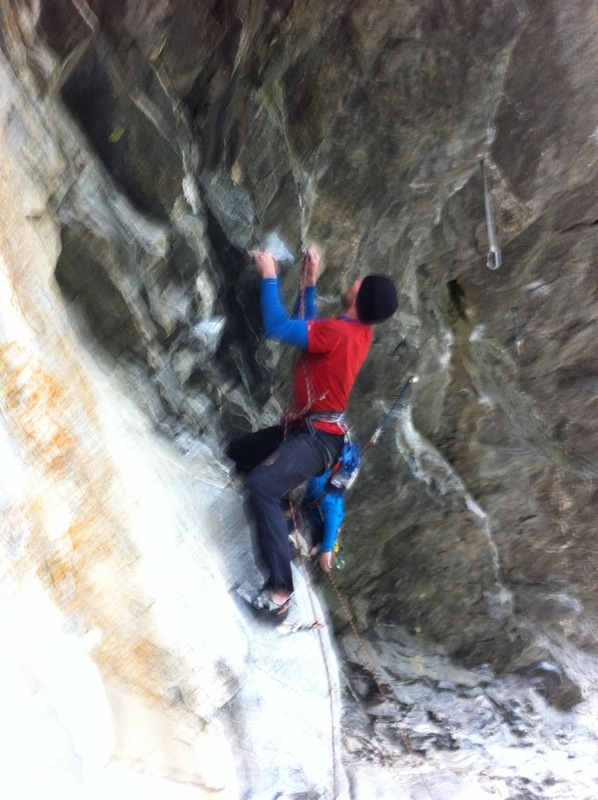 Working the crux- hands crimped, heel hooked, and throwing to a huge pocket. Keeping cool despite the puffy coat, just before a huge whipper. 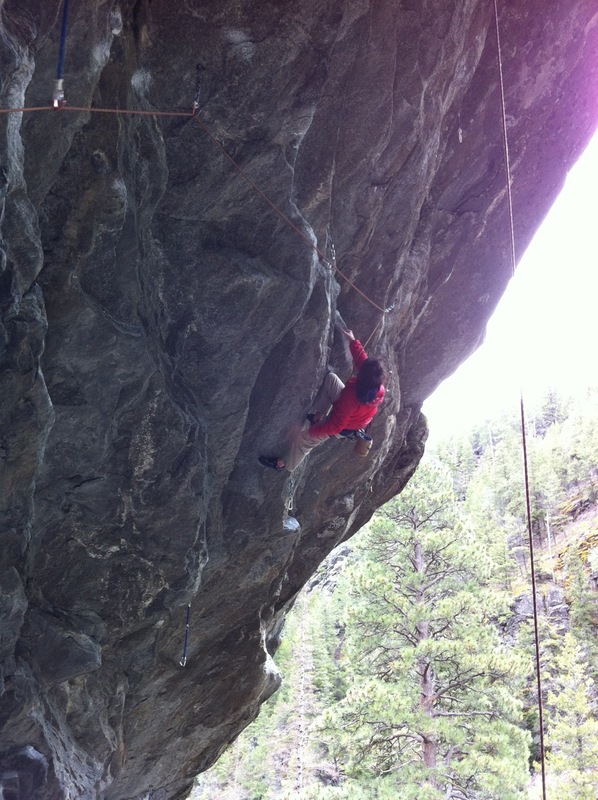 By and large, I was rested and psyched to climb- and I spent most of my day thruching from bolt to bolt. My friends, by and large, were hungover from St. Patricks Day celebrations and proceeded to link large sections of each climb before taking sizable lead falls. The only way to climb hard is to get on hard climbs, and my lackluster performance leaves me itching to work at the task. I am very grateful to have friends that are stronger than me, and sincerely appreciate their patience. It’s good to get humbled by people you like. 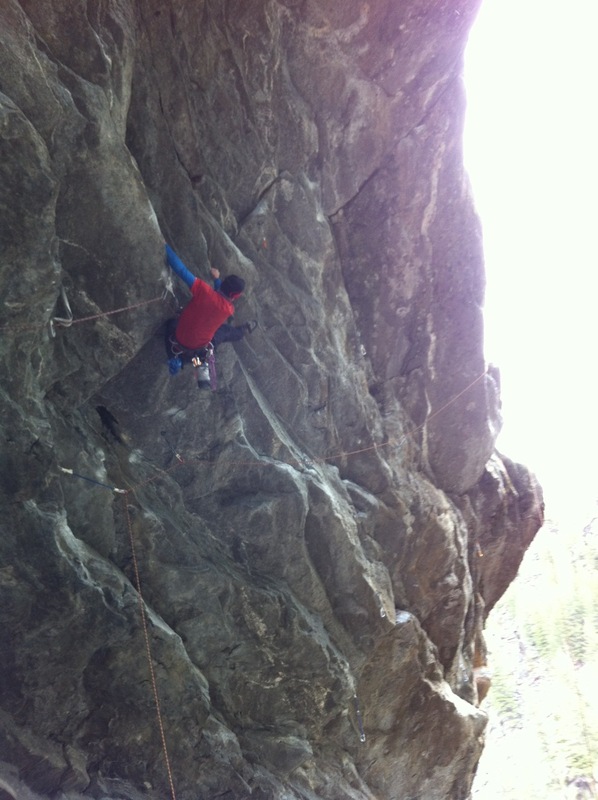 This entry was posted in Rock Climbing, Skiing, Training on March 19, 2012 by sticker1.